1. Exclusive right: solely cooperate with one distributor in one area or country. 2. Better Price: bigger discount will be offered for all the distributors. 3. 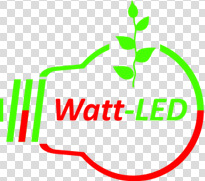 Marketing Support: more and further market situations for LED lighting field in your area will be provided by our experienced sales team. 4. Technical Support: complete customers-oriented service for your lighting projects will be powerfully provided. 1. Distributors should be engaged in the lighting field before, or have certain knowledge of lighting and marketing experiences at least. 2. Distributions should sell our products with the turnover of USD20,000 at least within one quarter of a year (3 moths). If it is not achieved within consecutive 2 quarters, then the distributing qualification will be cancelled at once (The exact turnover can be negotiated upon your situation). 4. Our products are forbidden to sold to our partners in other areas. 5. Same or similar products bought from other suppliers are not permitted for sale.